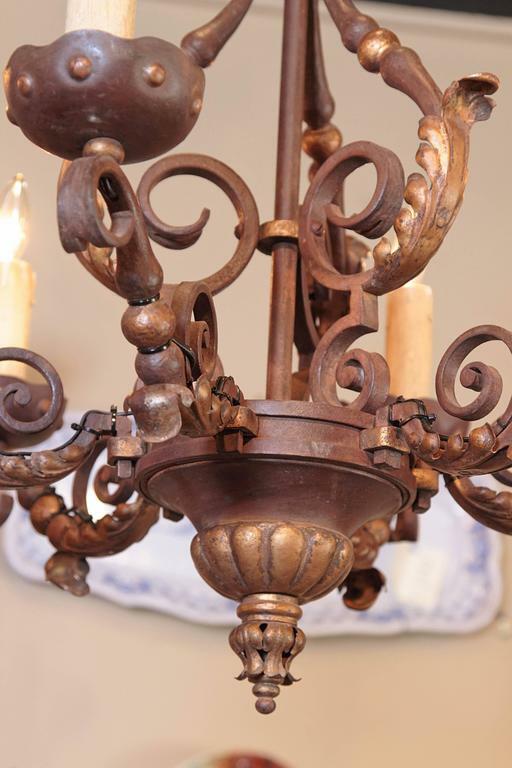 This elegant, antique, iron chandelier was created in France, circa 1890. 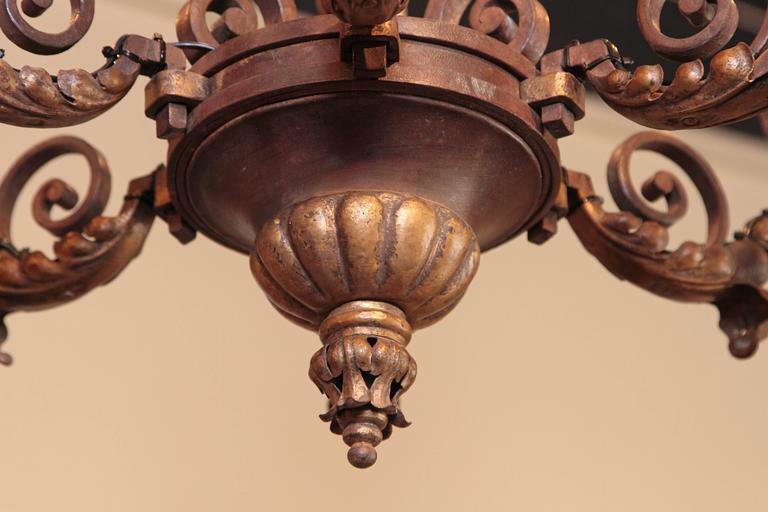 The scrolling, Baroque fixture features its original verdigris paint with gilt accents. 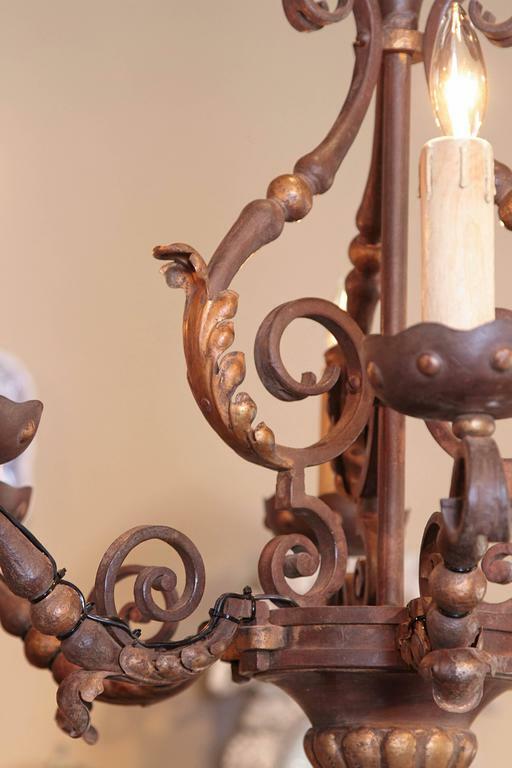 Around the chandelier are six lights, which have been rewired and have their original wood candles. 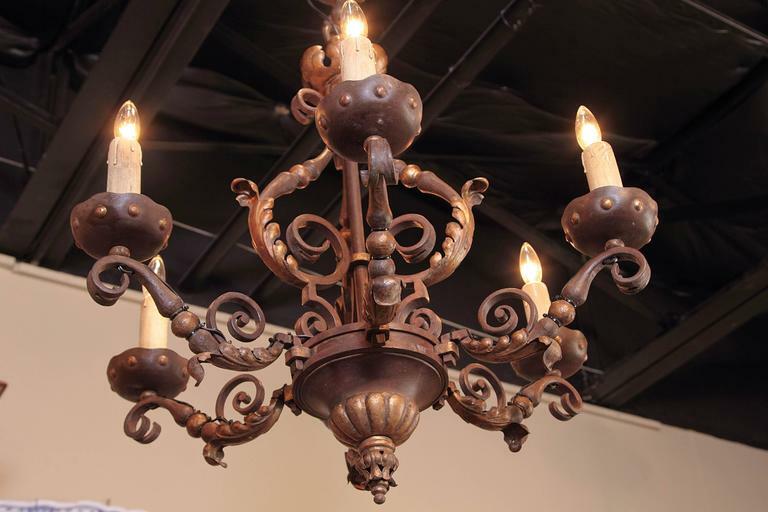 The ceiling fixture is beautifully shaped in a Classic, French style and is ready to be hung in a breakfast room, study or bedroom. 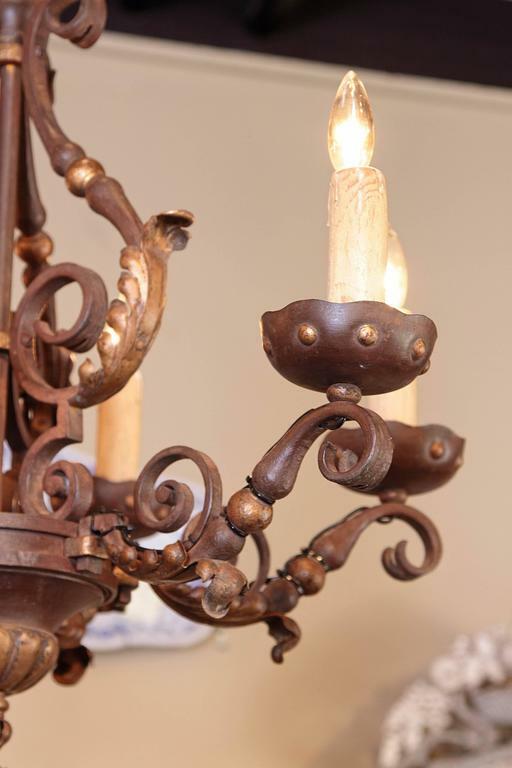 Excellent condition with a rich two-tone patinated painted finish. 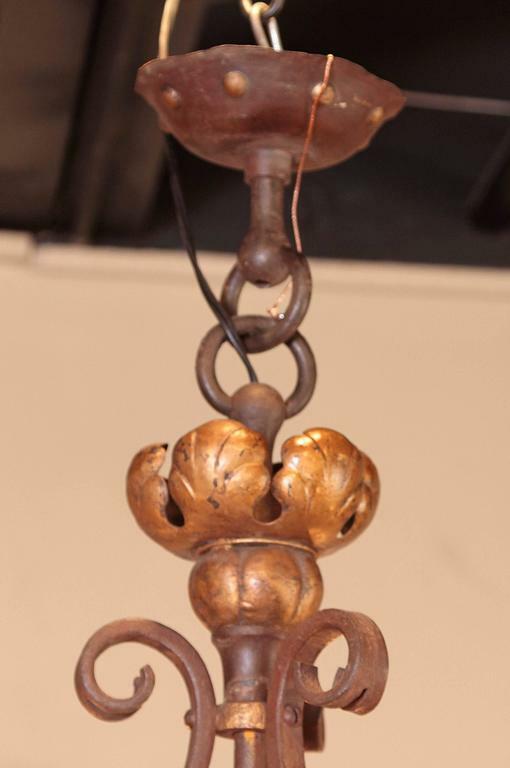 Included: A canopy, loop and chain; each color-matched to the fixture. Measures: Diameter 29" Height 30". 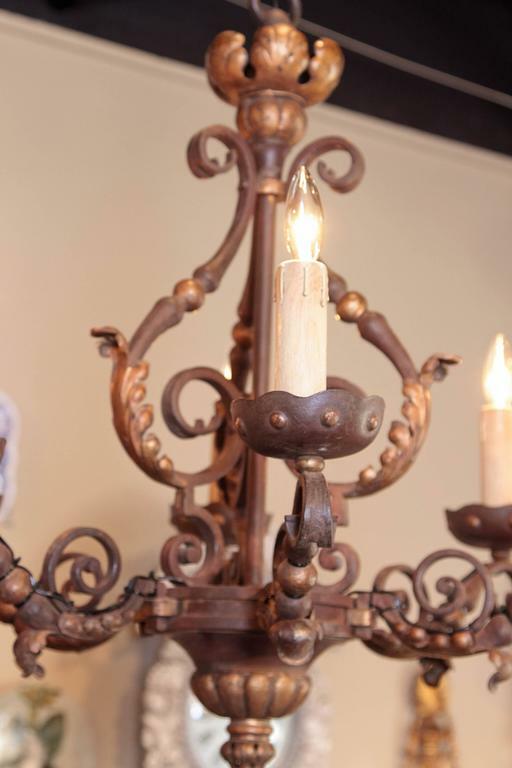 French Louis XV '19th-20th Century' gilt bronze eight-light chandelier with amethyst and amber shaped crystal drops. 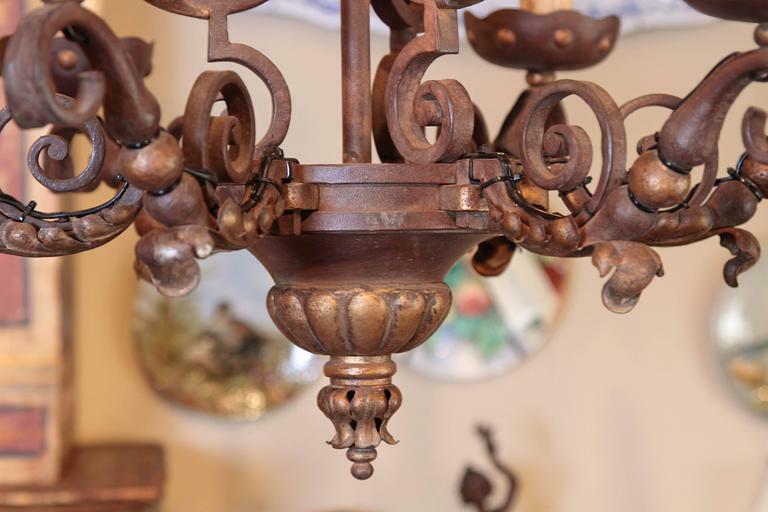 Splendid 19th century, French Louis XV bronze and crystal chandelier. 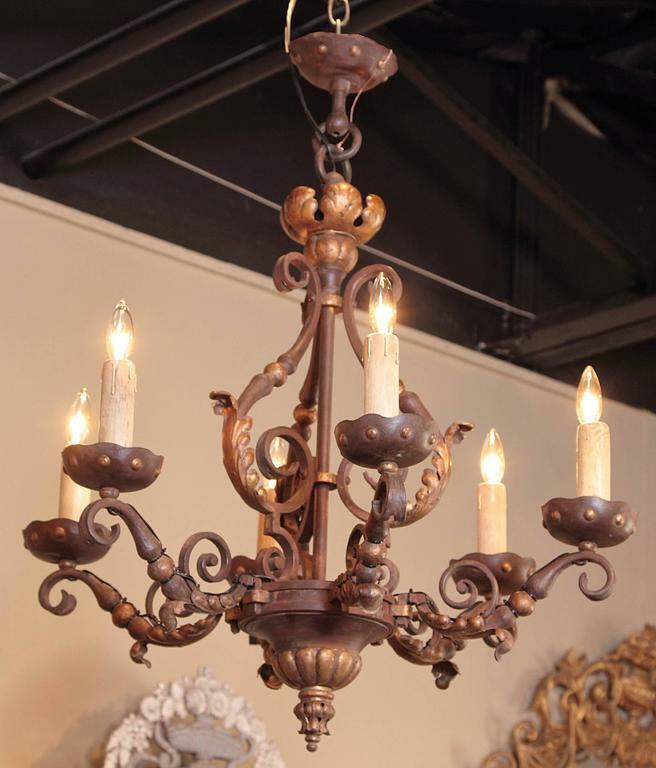 19th century Louis XV Style gilt metal chandelier. Brand new wiring.